The fall of the Berlin Wall has seen the glamour of the 1920s return to Friedrichstraße. 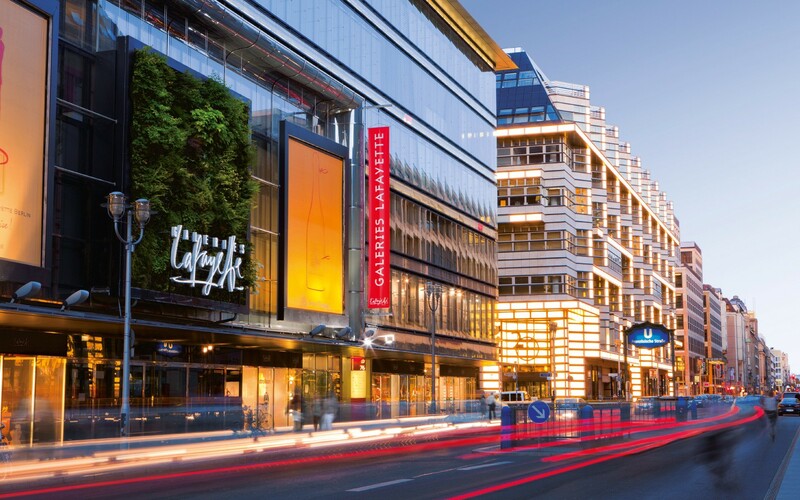 Take a relaxed stroll between Leipziger Straße and Friedrichstraße Station and have a look at the large new shopping outlets. Whether it be window shopping for inspiration or a planned purchase – you will find the finest stores as well as outlets for the most famous luxury labels comfortably bunched in shopping passages such as Quartier 206 and the Galeries Lafayette. Find refuge from the hustle and bustle of life in one of several oases of calm near Crown Princes' Gardens. Relax wonderfully, whether in the exclusive spa around the corner or in the Dussmann KulturKaufhaus for the intellectual holidaymaker.